Running your site on WordPress offers several distinct advantages. For instance, you can manage your online presence more easily than if you’d opted for a non-CMS solution. But you can also set up and run contests on your site, which can do wonders for building your reputation and establishing your brand as one to pay attention to. You’re not limited to just writing a blog post that says, “Hey, enter my contest!” either. You can utilize a variety of companion tools to set up a contest, run it for its duration, promote it, and select a winner from within the WordPress dashboard for the most part. Before I delve into the finer details of how to pull this off, let’s first talk a little bit about why you might want to run a contest in the first place. More followers and fans. All it takes is promoting your contest on social media a few times and you’ll see your follower count increase. No joke. This isn’t some overhyped claim, either. It will happen because people love contests and free stuff. It plays into basic human psychology. Might as well take advantage of that fact, right? More comments, likes and overall engagement. People like to share contests with their friends. It’s fun. Plus, if one of the entry methods for your contests is to make a comment, like your Facebook Page, or otherwise engage with your company in some way (more on that in a bit), you’ll see your likes and comments skyrocket. A bigger email list. As people enter your contest, you can collect new email addresses in the process. You have to be upfront about it, of course, but most people will agree to be added to your list if it means a shot at winning something and the promise of being notified of future contests. Expand your brand’s reach. 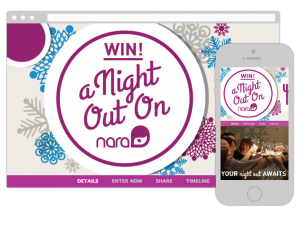 As word spreads about your contest, your company will become more visible to a wider audience. That’s a real perk, because it means expanding your brand’s reach and potentially exposing your products or services to new potential customers. On top of that, you’ll quickly build a reputation as a brand that likes to be generous. That kind of rep can take you far. Now that you have a clearer picture of what benefits contests offer to your business, we can look more closely at the process of implementing one. Your first step has to be to decide on an objective. Running a contest “just because” isn’t a fruitful way to make business decisions, first of all. I mean, you wouldn’t send out a press release “just because,” would you? So you shouldn’t approach contests in a haphazard way, either. The first thing you need to ask yourself is what do you want to accomplish? Do you want more followers on social media? More site visitors? More email signups? More paying customers? All of the above? Figure out what you want to get out of the time you spend on setting up a contest and write it down somewhere. It will help to guide the rest of the decisions you’ll have to make as outlined in the remainder of this article. Sweepstakes. In this type of contest, people sign up to win a prize of some sort. They “enter to win” whatever it is you’re offering up. Giveaways and raffles fall into this category of contests. These are good when you want to attract as many entrants as possible and to expand your reach to the widest number of people as you can. But be warned: Not all of your entries will come from those who are remotely interested in what you’re selling. Skills-based. As their name implies, these kinds of contests require entrants to demonstrate a skill before they can be considered for the prize. People are required to complete some kind of task like taking a photo, making a video, or completing a mini-project to enter. While your entry pool here will be much smaller than it would be for a sweepstakes, it’s much more likely that entrants will be in line with your target customer goals. You’ve got a handle on why you should hold a contest and what you want to get out of it. You’ve even landed on the type of contest you want to hold. All that’s fine and well but how will you actually, you know, run this thing? And how does WordPress play into all of this? Excellent questions — if I do say so myself — that I’m going to venture to answer here. A simple little plugin that makes setting up and managing contests a breeze. Run social sweepstakes and giveaways like a champ without having to get bogged down in unnecessary details. It comes with social sharing buttons, URL shortening, Random.org winner selection and integration with several popular newsletter services. It’s fully customizable, responsive, and you can set up as many contests and receive as many entries as you want. If you want to take a slightly different approach than the standard giveaway for your contest, MyCRED might be a good choice for pulling it off. This plugin is a points management system that lets you select how a point system works on your website. How do people who sign up for your site earn points? Can they trade them? How can you manage and keep track of who’s in the lead? A few examples of how people can earn points is through signing up, commenting, logging in, and viewing content. While you have to be a Submittable client to use this plugin, I thought it was interesting enough to include because it just goes to show how versatile contests can be, especially if you’re going the skills-based route. 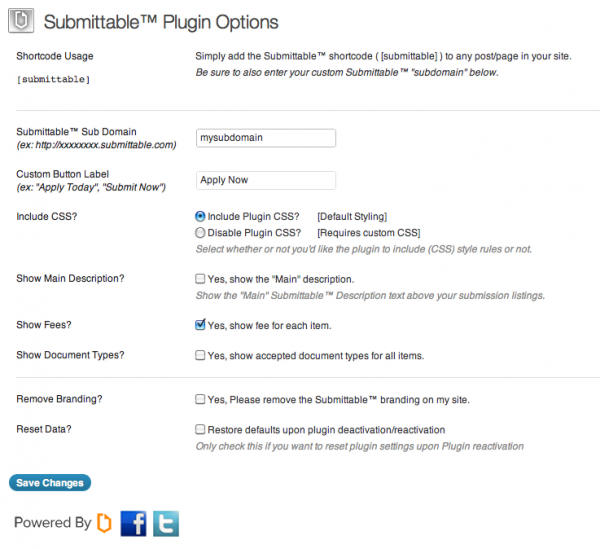 This plugin makes it easy to integrate Submittable submission forms into your WordPress posts and pages. This way, you can accept entries in a variety of file formats, without making your visitors navigate away from your site. You can get much more straightforward than this plugin. Pick Giveaway Winner lets you quickly select a winner at random from the comments made on a designated giveaway post. A nifty feature here is you can disqualify those who enter more than once — or only count one of their entries — if that’s your preference. 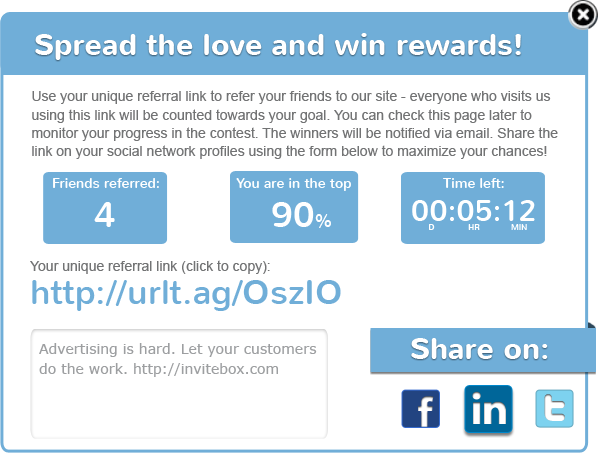 If you’re interested in setting up a refer-a-friend promotion for your site then you might want to make use of this plugin to use with the InviteBox service. You can easily set up a variety of referral programs. You can offer instant rewards for referring a friend, you can use the refer-a-friend promotion as a method of contest entry, or even set up goal-based rewards. Add the widget to your site to quickly allow people to refer your site and get something in return. The last plugin I’m going to discuss here is called Comment Contest. If the only way you want to accept contest entries is through blog post comments then this plugin is sure to seal the deal. Easily select which post hosts the contest. Then you can manage, delete, and restore comment entries from your dashboard. After you set the parameters for winning, the plugin will select the winner for you. Easy. Just because you plan on running your contest on WordPress doesn’t mean it has to be plugin based. In fact, there are several contest platforms you can use — that often have widgets that can be integrated into posts, pages, or sidebars — that provide more flexibility for the contest’s terms. 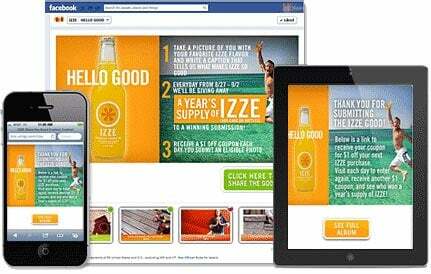 This popular social contest platform is perfect for giveaways and sweepstakes. If all you need to do is select a random winner, this will work great. Plus, Rafflecopter lets you accept entries in a variety of ways that you determine, from retweets to comments to likes to shares. Pretty much any social action qualifies, making this a great way to expand your social reach very quickly. This contest platform makes it simple to set up branded contests and sweepstakes with the end goal of conversion in mind. Used by the likes of Starbucks, Toyota, and Adidas, Strutta lets you create social promotions for launching contests on all the major social sites and on your website. It relies on templates, so setup is quick and painless, too. And the Designer tool allows for custom CSS and personal domain use, if that’s more your style. Though designed to be a comprehensive tool for managing Instagram, Tumblr, and Pinterest, Piqora is also excellent for setting up and managing promotions. You can create customizable landing pages, post user generated photos, and configure automated tracking. Plus, you can easily monitor your progress through a robust set of analytics tools and cross-promote the whole shebang on your WordPress site. Votigo is another social media marketing platform but it also makes it simple to set up promotions that build engagement and followers. You can integrate your contests into your social accounts like Facebook, Instagram, Vine, and YouTube and/or promote it directly on your website. A developer API is available for total customization, too. Keep it Brief. I mean that in every possible way. Set the contest duration to a short period of time — between a week and a month is typical — and make sure the accompanying copy and directions for entry are brief and to-the-point. There’s no need to write a book. Just tell people how to enter and trust they’ll do it. Follow Through. Running a contest can be a great way to build interest in your company and brand but you can’t stop your efforts as soon as the promotion is done. It’s vital that you keep up the hard work and continue to engage with your new followers. Thank them for connecting with you, respond to their comments, and basically be a real, live human being. A Contest for a Contest’s Sake Doesn’t Work. Failing to pick an objective for your contest or throwing something together last minute might still bring in new followers and visitors to your website but it’s highly unlikely that those people will actually be interested in what you’re selling. Your contests or giveaways need to be related to your industry and what you’re offering as a brand, too, for them to be effective. Contests are an excellent way to promote your site, especially when you’re trying to build up an audience quickly. But that doesn’t mean you can take a one-size-fits-all approach. Working with a WordPress site means you need to think about plugin and external contest solutions. You need to think of how a contest would be presented on your site and how it would be integrated into social media — and vice versa. Running a contest on WordPress is so much more than just gathering entries to give away a prize. It’s about laying the foundation to build a solid brand reputation. That’s worth a little bit of extra effort, don’t you think? Great article! I have been considering running a sweepstakes for Paperless Creations! Glad to know there are easy to use resources for it. I work with a non-profit in Louisville, KY and we work with safe water solutions in the developing world and in disaster situations. We also use business to fund our work and training to other organizations to better save lives. One is we sell used shoes to an exporter and he sells them all over the world for affordable business opportunities internationally. It keeps tons of shoes out of landfills, too. We are growing the business with some partners with a larger footprint and they are asking if the schools they are involved in could compete for a prize as they do shoe drives across several states. Would you be willing to talk with me so I could pick your brain on the best tools for this? I was not able to imagine a direct link with the products you mentioned in order that schools could report their amounts each week and see where they are to be challenged and inspired while competing with other schools toward a grand prize and to watch how their growing shoe totals are specifically doing certain water projects to save lives. It would be a great tool. Very good contribution they make every day, I’m always learning something new. It really all does come down to relationships! Losing sight of ‘brand reputation’ and failing in followup engagement with followers for the same simply fails the contest. Valuable, insightful and encouraging post. Happy to hear you found it valuable, Uzair! And I couldn’t agree with you more — a contest without engagement is pointless. Very cool. Thanks for writing this. Very impressive article Brenda. 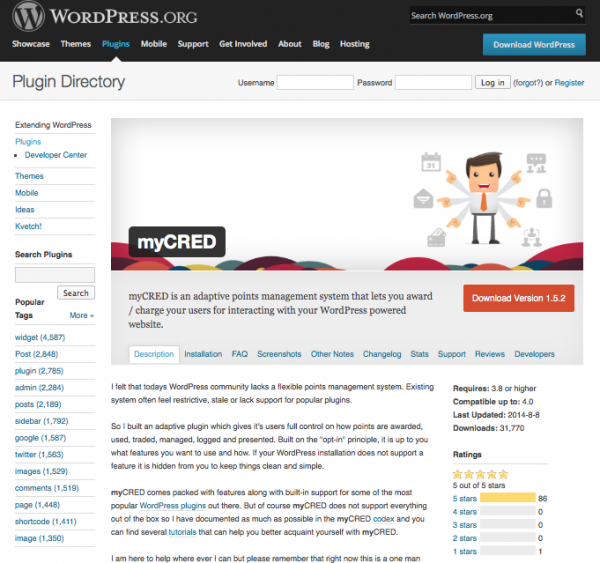 Nice collection of plugins and information for add contest in WordPress blog. Thanks for share this valuable information. Thanks for this. Was planning a contest and this just gave all the encouragement, tools and process to proceed with it. Thanks for the Votigo mention Brenda! Thanks for the plug in recommendations. I run a lot of contests in the UK and these will be useful. You haven’t mentioned the importance of terms and conditions though – absolutely essential for any contest or sweepstakes! Great advice! I’ve noticed a lot of bloggers in my area of interest just toss out random sweepstakes prizes, typically a sample they were given for PR. From this I’d add the advice: choose a prize that reflects your company or website. I believe this is important if you want to draw in people who are going to become valuable customers in your niche and not just looking for a free item. I couldn’t agree more, Rich! The prize shouldn’t be random. It needs to fit in with that your company does in the first place. Otherwise, what’s the point? Is there any way to run a contest not subscribing but liking the Facebook page? 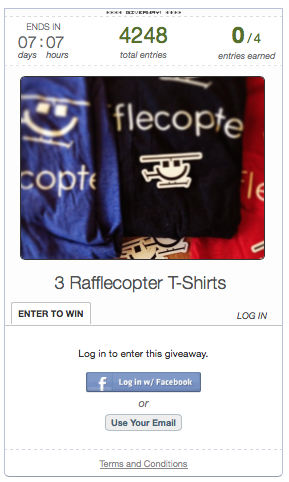 Is there any plugin out there to run a contest where you must like the Facebook page to enter the contest? Oh, I am you customer and I am logged in, but I have to fill my name, and email to comment. Is this correct? It’s against Facebook’s terms, so most contest apps will not let you do that. Although this may seem detrimental to contests as a tactic, this should actually be seen as an opportunity. Likes are only a means to an end that contests and sweepstakes already facilitate through collecting names and emails of potential customers, so focus on your most important metric; entries! Thanks, Nick & Danny for your answers. I will reconsider my first idea about contests. The comment from Di Coke is certainly important; you can’t forget the need to understand the legal considerations around a contest! We actually put together a guide that can be downloaded here: http://go.strutta.com/legal-guide/. Hopefully this can be helpful for a few of your readers! Firstly, I would like to thank you for sharing such useful stuff. I would really love to share this ultimate guide with my online friends. I will implement the above given tips to my blog and lets see what comes the result. Thanks you Brenda ,I was was searching for how to do contest on my blog and found this post. any suggestion for a photo contest software? Hi Brenda. Thanks for the great advice! I’m thinking of running a competition where, Ideally, I would like the winner’s ‘prize’ to be kudos or glory only. I would feature the winner on my site and announce it across social media. I have not been able to find any advice or instances of this scenario online. Do you think this could be done successfully? If so, how would you go about it? Gleam.io is the best giveaway tool available to host a giveaway in your blog or website. The tool is visually appealing too. But it is costly. I have been using rafflecopter for a while now but just downgraded my account as I was paying over $80 a month and it was a little too much. I used this post as a resource as I’m a big Divi/Elegant themes plugin fan but eventually I ended up using a couple of other plugins. Thats where it gets interesting. I am currently using the Kingsumo plugin which is around $200 but after a 50% off discount that I found on the smart passive income blog it was a little bit more reasonable. The reason I bring this up is that I initially bought the WP Contest Creator Plugin and after several emails back and forth with support (very quick responses) I finally came to the conclusion that it was just not playing well with Divi and my mailchimp list. It took me about 24 hours to figure this out after which I politely requested a refund. Long and short they have not honored the refund of close to $100 and I’m pursuing paypal resolution after email correspondence and my claim has been fully denied. They say in their marketing that you have 14 days to request a refund. Kingsumo on the other hand, worked pretty much right away and I was up and running with my first giveaway rather quickly. The app is part of Noah Kagen’s plugin empire and I have experience with his pop up tools that I use in conjunction with Elegant’s Bloom (Another great plugin). So, be careful who you buy from and I can attest that the Kingsumo contest plugin is working well with Divi and my results have already been 100% better than those I experienced with Raffflecopter. In above all I could not find free solutions which gives unlimited leads,any idea?